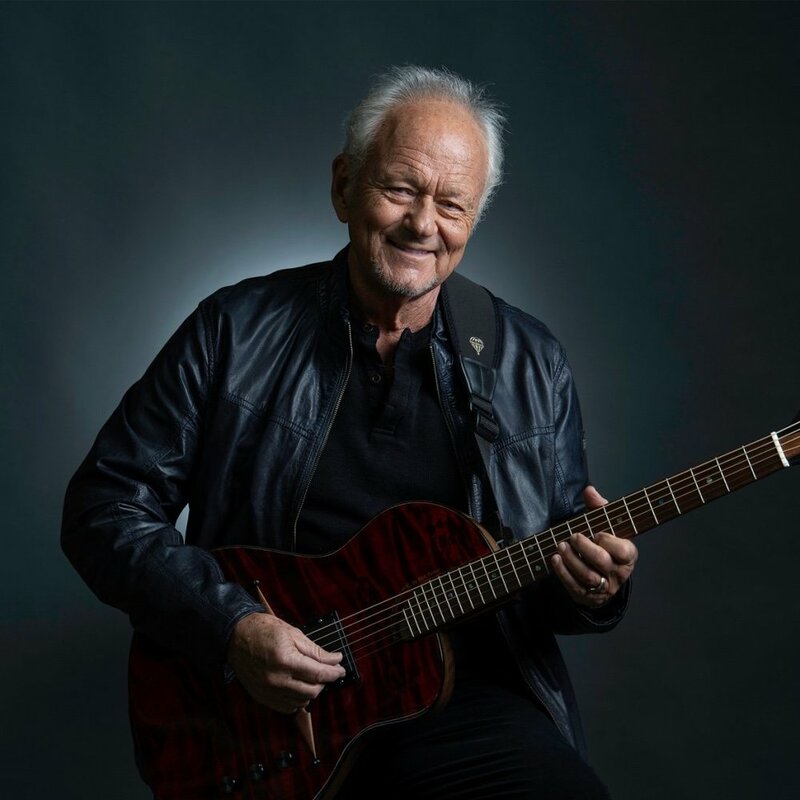 With songs like Darkness, Darkness, Lightshine, Sunlight, Sugarbabe, Songbird and The Youngblood's version of Get Together, Jesse Colin Young has influenced and shaped the character of American music for over 50 years. Jesse Collin Young has a new album out called Dreamers, and spent some time chatting w/ Finn. Discovered in 1961, Jesse Colin Young had a serious solo career, showcasing his vocals and guitar work, with 2 records, Soul of a City Boy ( Capitol) and Youngblood ( Mercury), before he formed his folk rock band The Youngbloods in 1965. The Youngbloods made 5 records on RCA (Sony BMG ) and 5 records on Warner Brothers before Jesse went on to make 16 more records (Warner Brothers, Electra, Polygram ) in his expansive solo career. Jesse has always responded to the world around him with a clear voice and focus that touches on our humanity. His style is now considered Americana, but in fact it's his unique fusion of folk, rock, jazz and blues with an emphasis on his extraordinary voice that makes his signature sound. The Youngblood's version of "Get Together" has been heard by millions from the Forrest Gump soundtrack in 1994, Cats and Dogs: Revenge of Kitty Galore, Fear and Loathing in Los Vegas, The Simpsons "Oh Brother where Bart thou" and "Tree of Horror II", and South Park's "Smug Alert". "Get Together commercials" include The Pepsi commercial for the 1995 Super Bowl, the Luv's commercial in 2010, Kentucky Fried Chicken in 2014 and Blue Diamond Almond's commercial 2017. And the Walmart commercial, "One Table" with Get Together, aired right after the deadly Charlottesville protests in Aug 2017. The Youngblood's version continues to be a healing balm on the wounds of society. "Darkness Darkness", written by Jesse, was in Jack the Bear (1993), chosen as the theme song for the James Cameron movie Ghosts of the Abyss (2003) and was in the trailer of TV series Bloodline (2015). A cover of the song by Robert Plant won the Grammy for Best Rock Vocal in 2002. Many still cover it today. 2019 will see the fruition of 2 years of touring, writing and recording of 14 new JCY songs with the JCY Band of Berklee College of Music graduates that will be released Feb 15 on BMG. A poignant and compelling work, Dreamers sees Young exploring a wide array of musical styles blazing country-rock, exhilarating folk, Cajun waltz, neo-blues and Celtic grooves on 14 new originals that include some of the singer's most deeply personal lyrics with other cuts that cast a critical eye at the state of the world today. "It's been a while since I've spoken out, says Young, whose last solo album was 2006's Celtic Mambo, but I feel as if this is the best record I've ever made. There's love songs that really get to the heart of what I'm feeling and have lived through, and in the political songs I'm looking at the world and going, How did we end up like this and what do we do about it. The current polarization of our Country really has affected my writing, probably more so than anything in the 60s or 70s. Dreamers was produced by Colin Linden (Don MacLean, Bruce Cockburn) with the artist's son, Tristan Young, serving as both Associate Producer and Bassist. Additional band members include: Donnie Hogue- Drums/Percussion, Jack Sheehan- horn arrangements and Sax, Sally Stempler and Virginia Garcia-Alves- Harmony arrangements and Background vocals, Aleif Hamdan- Electric Guitar, and JennHwan Wong- keyboards, piano, Wurlitzer, B3 Hammond. Special guests include Roseanne Cash courtesy of Blue Note Records, Rhiannon Giddens courtesy of Nonesuch Records, Colin Linden, and Brandon Young. Additional players include Dana Robbins ( Tenor Sax) and Quentin Ware (Trumpet).